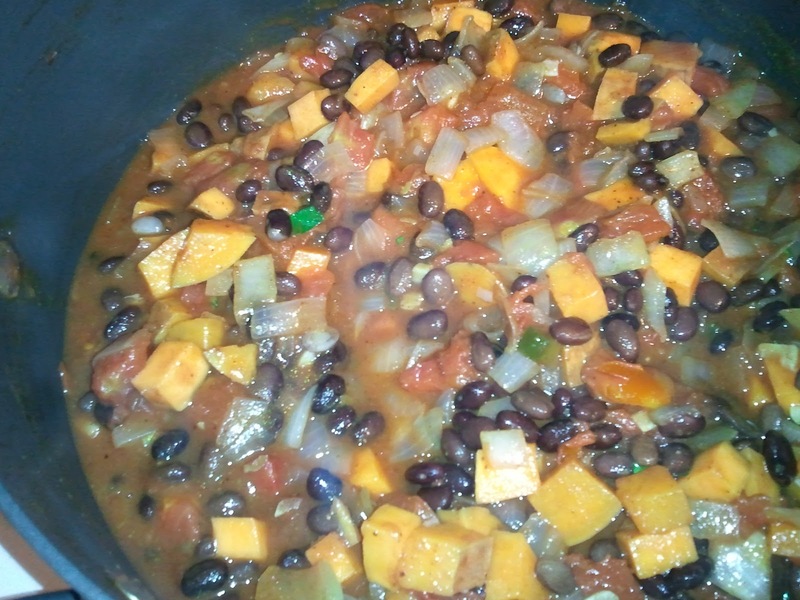 I know I'm on a vegan kick right now, but this chili will satisfy even meat-eaters. 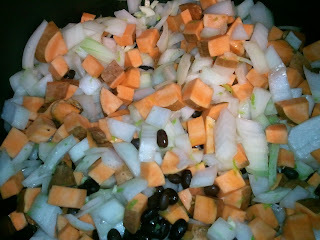 I have it on good authority that you could add some cooked ground turkey to this if you really want to add meat. Even if eat meat again someday, I'll always make this chili vegan because I love it so much as-is. 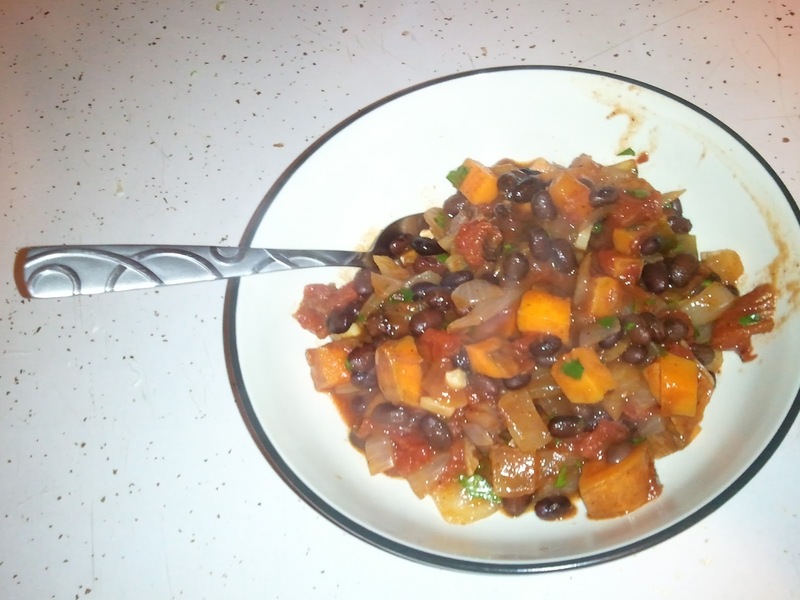 I had three sweet potatoes left over from the Sweet Potato Tortilla, but I only ended up using two for this chili. 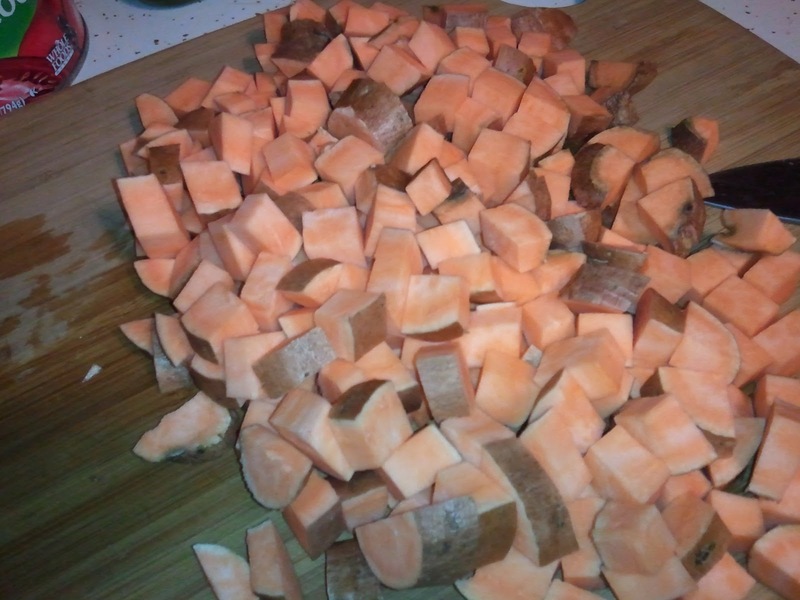 If you don't think you like sweet potatoes, you could start out with just one. Dice them up pretty small so they cook down all the way. Otherwise you'll have kind of a funny texture. 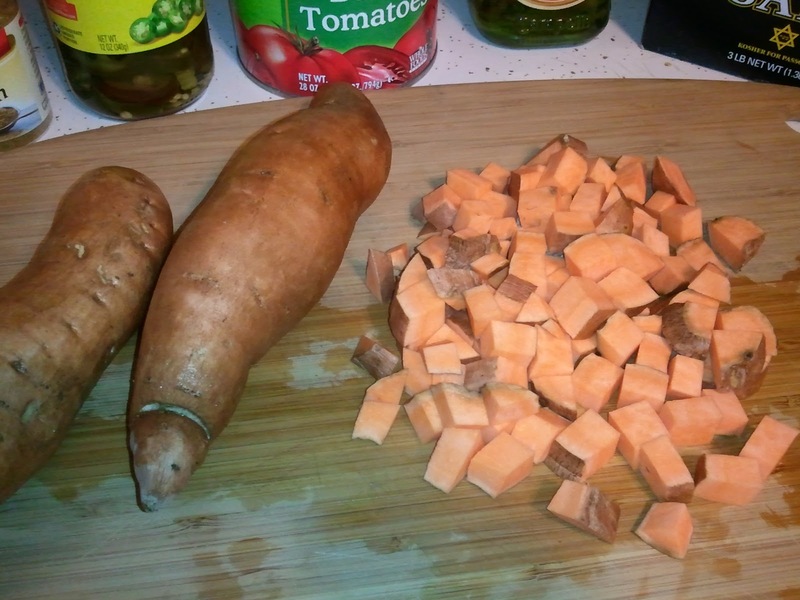 Sometimes the sweet potatoes in the store are HUGE, so you could use one of those. 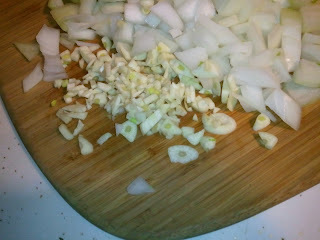 Then dice up your onion. Use whatever color onion you have on hand. When we were at Whole Foods, I told Grant to grab me whatever was cheapest and he came back with a white onion. So I used that. 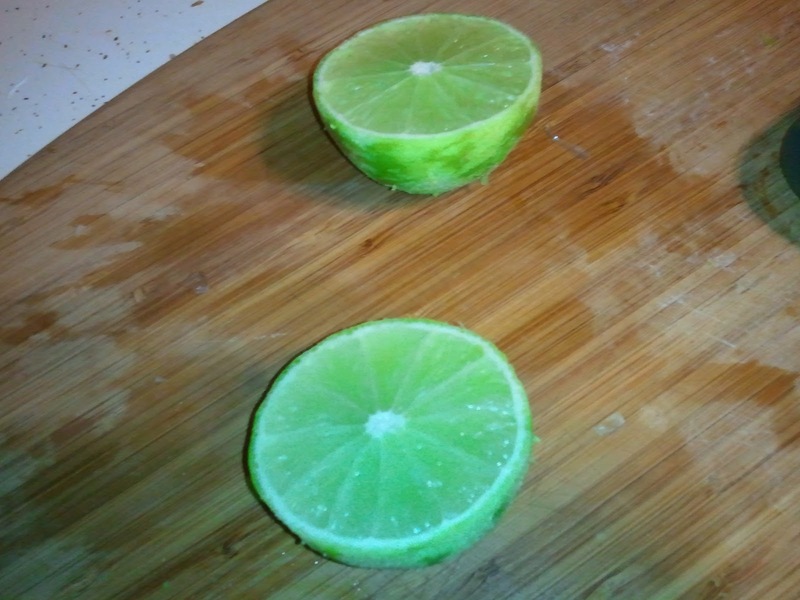 Then zest the lime with whatever you have to zest with. I don't have a citrus zester, so I use my cheese grater. 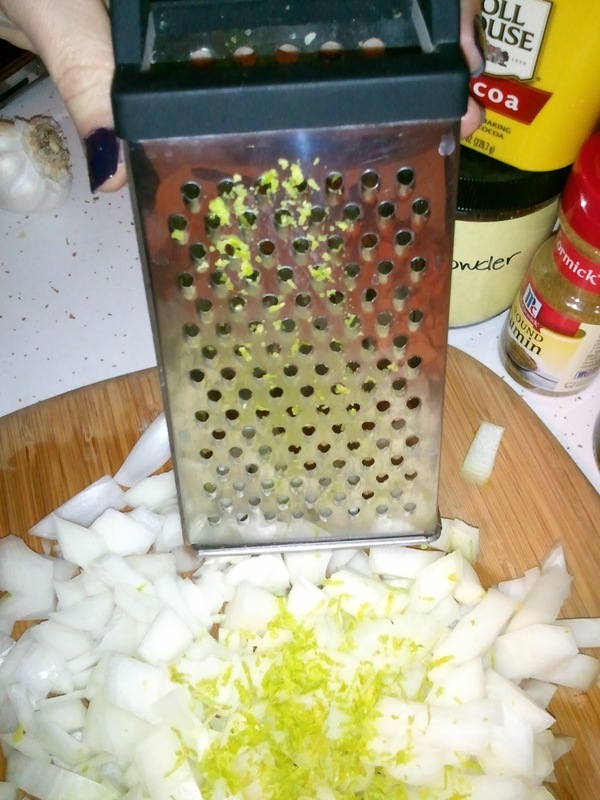 (The same grater I may or may not have grated butter with recently.) 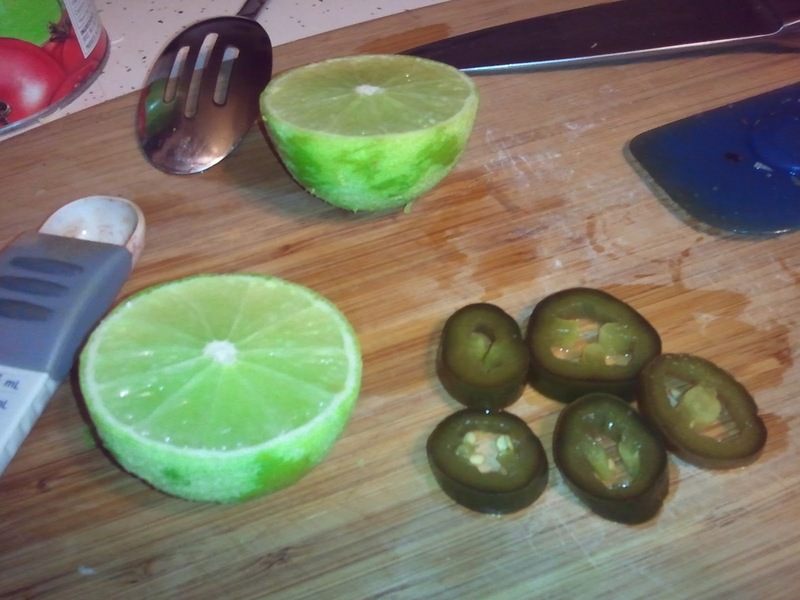 The only reason I actually bought limes was that I thought I was out of lime juice, but then I found some in my fridge when I got home. Because I had fresh ones at that point, I went ahead and used one of those. Feel free to use the shortcut and use lime juice that comes in the little green bottle and leave out the zest. Chop up some garlic in whatever size you like. This is fresh garlic, again just because I happened to have some on hand. I always ALWAYS have a little glass jar of minced garlic in the fridge, so if you don't like garlicy smell on your fingers, use that. It's pretty cheap and very delicious. Or use garlic powder if you must. 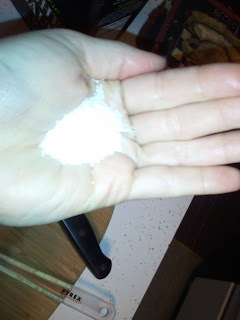 If all you have is garlic salt, leave out the rest of the salt in this recipe. 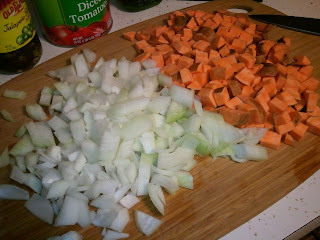 Throw all your chopped veggies in a pot with some olive oil. 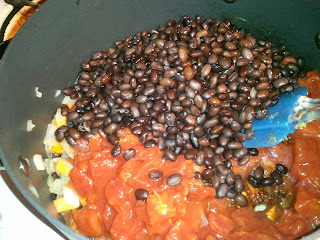 There are some black beans in this picture because they wouldn't all fit in my strainer, so I left some in the pot. No big deal. Cook the veggies until the sweet potatoes are bite-soft. 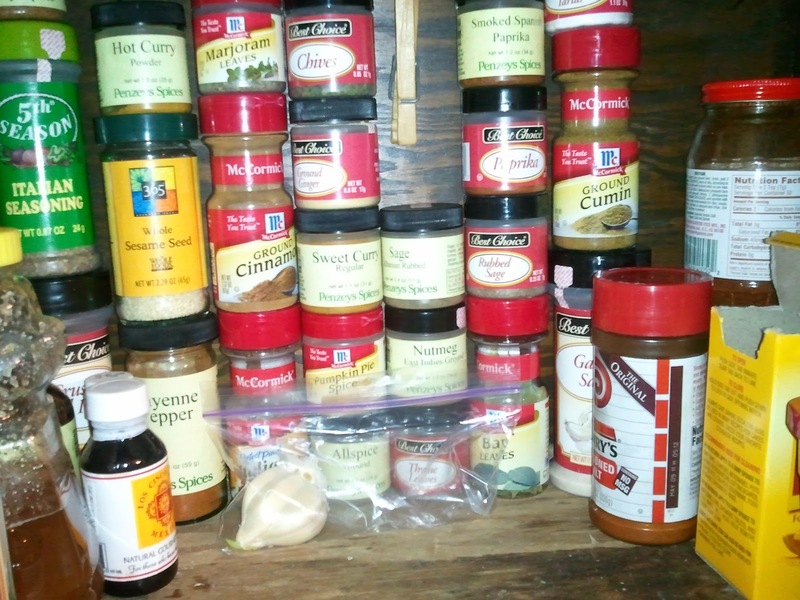 For the record, these are my spices. They're not super-fancy or extensive, so sometimes I improvise. 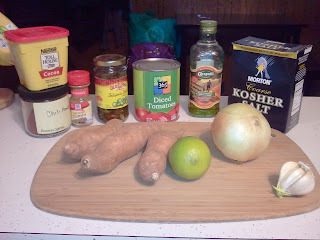 Penzey's Spices are my favorite, but they're not open on Sundays when I usually do my shopping, so there's some other cheap stuff thrown in. When you run out of cinnamon, get more from Penzey's! Okay, chop your jalapenos if you're using (leave out if you don't like spiciness) and juice your lime. 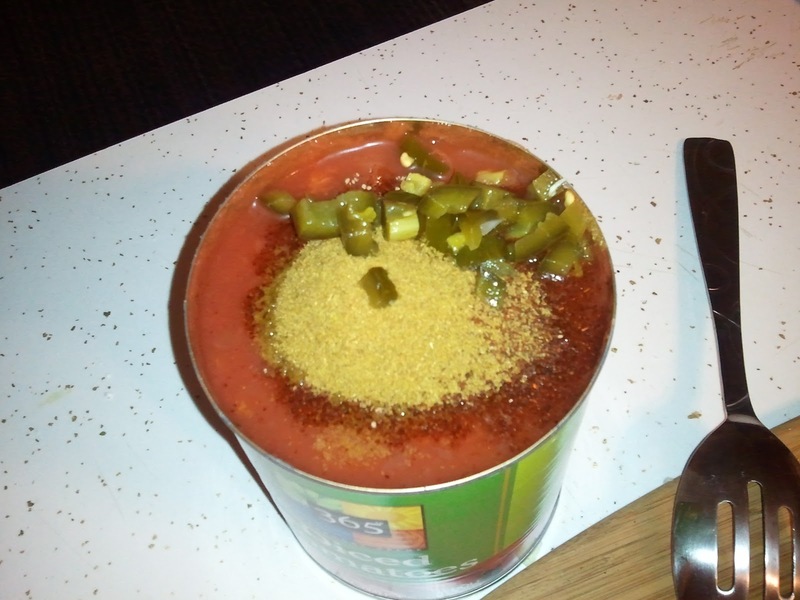 Because I'm impatient, I opened my can of tomatoes and mixed all of the second-half ingredients (including spices) into it. Let's say I'm being "efficient with my time." That sounds less neurotic. 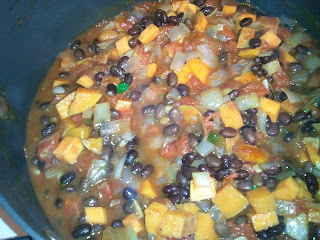 Once the sweet potatoes are softened, mix in the beans and the rest of the ingredients. Mix it up and cook another 10-20 minutes, or until you taste it and everything is sufficiently soft and flavors are melded. I never time things, but I always taste-test. It just works better for me. While that's cooking, wash and chop your cilantro. 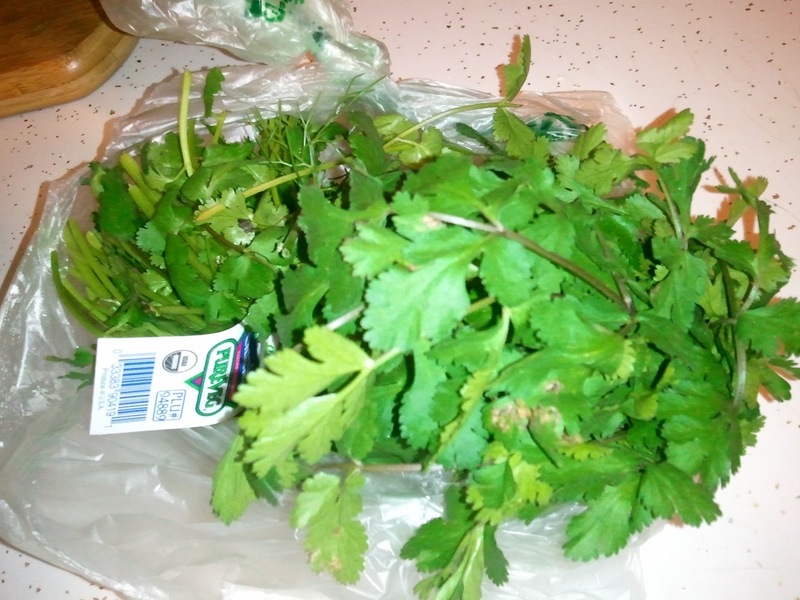 I can barely use up what comes in a bunch, so I pull the leaves off the stems and just use those. 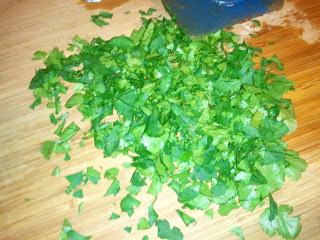 You don't have to chop, but I love chopping herbs. Chop away! This looks/tastes done to me. 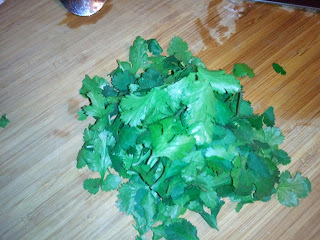 So mix in the cilantro at the end. 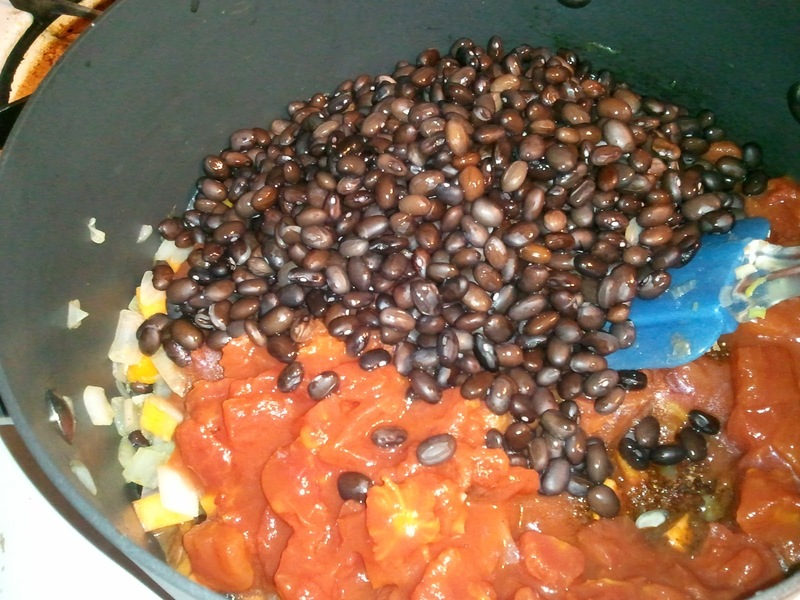 And dish it up like any other chili! 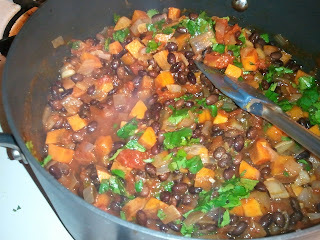 I make a pot of this on the weekend and divide it into Tupperware for the week's lunches. You could freeze it, I'm sure, but I always want to eat it right away. 1. 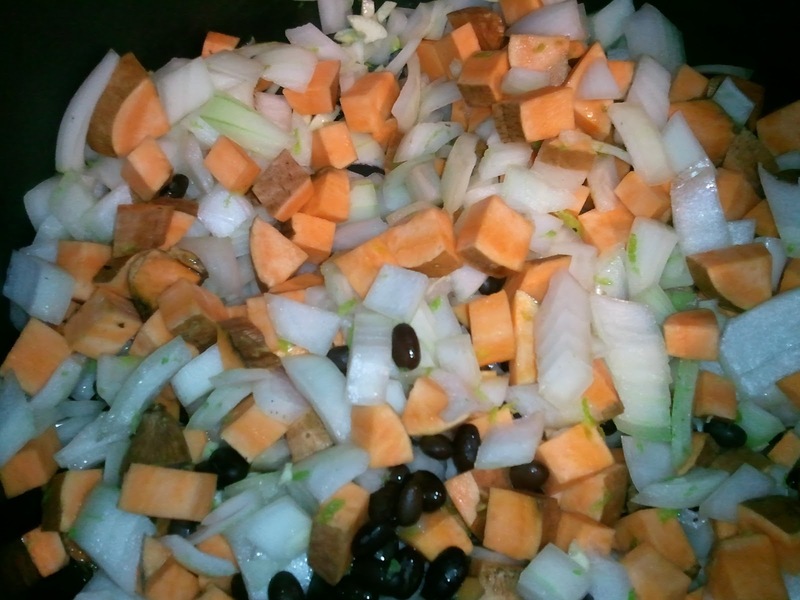 Warm the oil in a small stock pot over medium heat and add the onion, garlic, salt, sweet potatoes and lime zest. 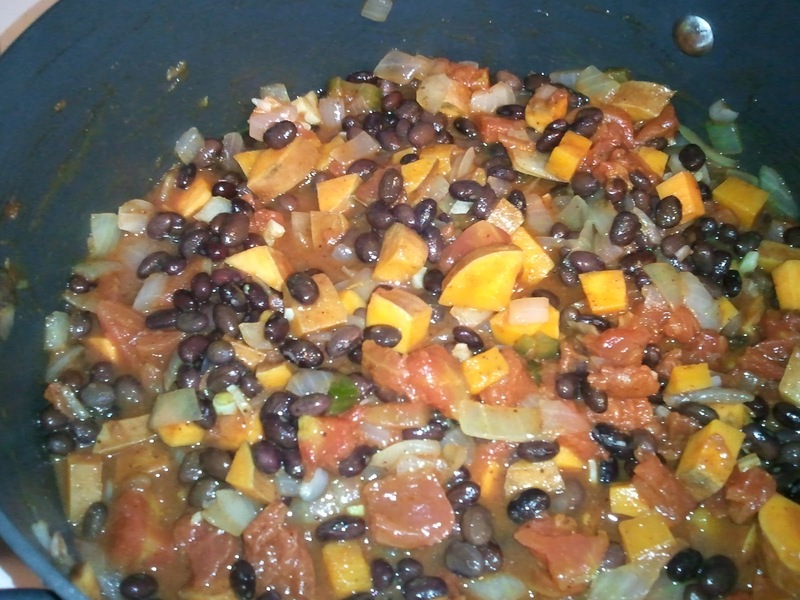 Cook 15-20 minutes, stirring occasionally. 2. Add everything else but cilantro. Bring to a simmer, cover, and cook for 20-30 minutes or until the potatoes are soft enough to eat. 3. 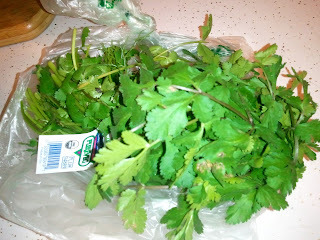 Mix in chopped cilantro and serve. Reheats well.